A new variant of Nokia X6 with 6GB RAM has just been spotted on Geekbench. 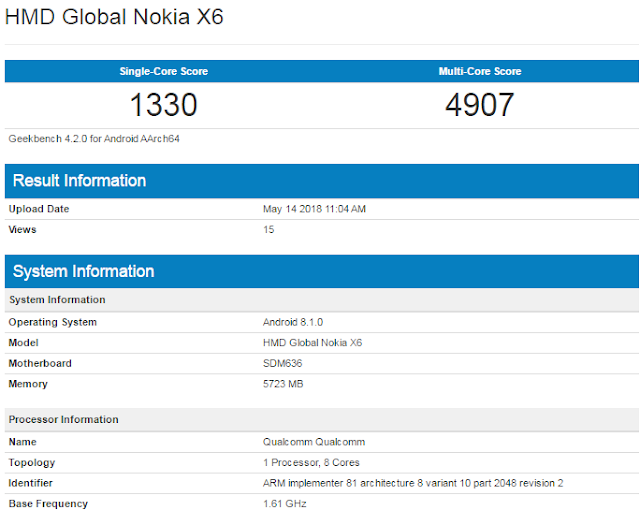 All other specifications mentioned on Geekbench database are same as the leaked specifications of Nokia X6 which we saw yesterday. As per the information on the Geekbench listing, Nokia X6 is running on the latest Android 8.1.0 Oreo update and this specific variant of Nokia X6 is powered by the Qualcomm Snapdragon 636 processor and has 6GB RAM. This could be the variant of Nokia TA-1099 with more RAM which recently got certified by China regulator TENAA. The leaked specifications of Nokia X6 look interesting. Nokia X6 Dual Camera setup (16MP+5MP) at the back that has support for AI Imaging, EIS, HDR and a 16MP Camera at front. The phone also comes with support for Face Unlock feature. 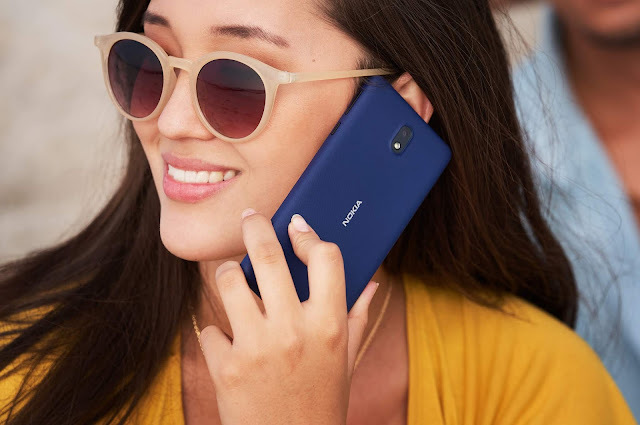 To keep things running, Nokia X6 comes with a 3060mAh battery that also supports Qualcomm QuickCharge 3.0.